BIG BLUE WAVE: Why does this poor-choicer think Scott Gilbert is such a poor choice? Why does this poor-choicer think Scott Gilbert is such a poor choice? For days and days fern hill at Dammit Janet has been clamouring on the #m312 for prolifers to name the experts that will testify to Parliament should m312 pass. As if the experts make any difference. Science is science. There cannot be competing definitions of life. At any rate, I suggested Scott Gilbert. He's probably America's foremost developmental biologist. He authored a famous textbook and he is widely known for his work. He is also staunchly pro-abortion. When I suggested Scott Gilbert, I knew fern hill was going to google his name, and I knew that she was going to find his famous essay in which he suggests that there are four points at which one can say human life begins. I can't find that famous essay. But this article sums it up nicely. He says that among scientists there are four possible points when human life can be said to begin in a scientifically accurate fashion. She thinks that because that this says there is no consensus on when human life begins that's a win for abortion. It means that there is no consensus that birth is the beginning of human life. Which is a win for the unborn. It means that the Criminal Code may be erring. If any three of these four views are accepted by the Canadian Parliament, it still represents progress in the recognition of the unborn. But fern hill is just bowled over laughing about picking an expert who so obviously contradicts my stated view that human life begins at conception. She didn't really do too much research about him. One of the major triumphs of descriptive embryology was the idea of a generalizable life cycle. Each animal, whether an earthworm, an eagle, or a beagle, passes through similar stages of development. The major stages of animal development are illustrated in Figure 2.1. The life of a new individual is initiated by the fusion of genetic material from the two gametes—the sperm and the egg. 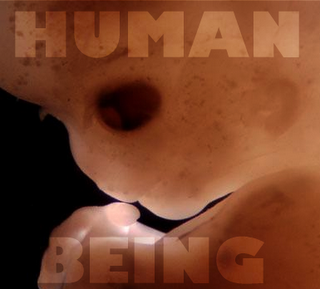 If we substitute `"dog" for "human being" we get "a human being is a human being from fertilization". Which is exactly the point pro-lifers are trying to make with Motion M-312.